All participants must be 18 years or older by activity's start date. An amazing experience for professional and aspiring photographers 18 years or older. 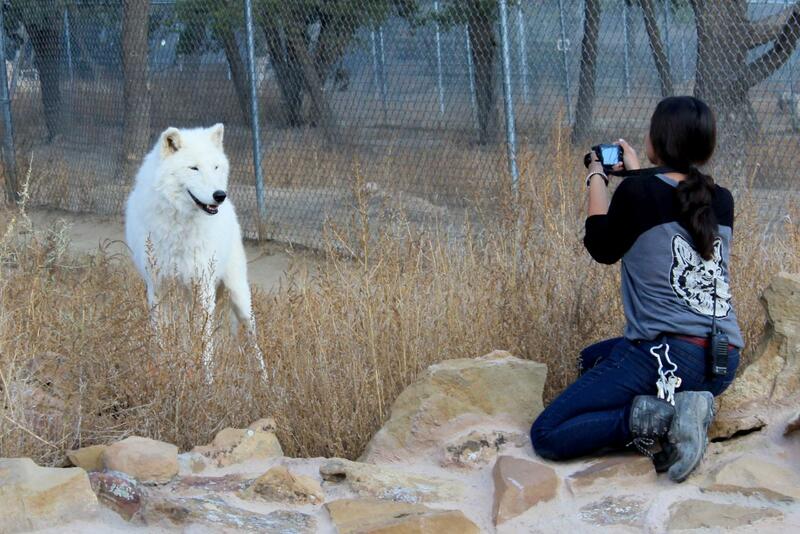 Enter 3-4 habitats with an expert guide to photograph wolves and other wild canids without the fence in the way. This is generally a hands-off experience, but you may get the chance to interact with a curious rescue. Exertion Level: MEDIUM ~ Reserve In Advance. All photo tour guests must have a firm understanding of English so we can fully explain how to be safe inside our habitats. All photo tour guests must be able to move quickly, bend over, squat down, and stand for long periods of time without equipment. 6 person maximum. Must be 18+ years old.